Creating positive change is like dropping a pebble into a still pond. Though it starts with a single splash, the pebble creates ripples that spread far beyond the point of impact. The ripple effect shows how yoga can change the world; when you change one life for the better, there’s no limit to how far the positive change can spread. From America’s prisons to Kenya’s poorest neighborhoods, these programs are changing lives and making the world a better place, one yogi at a time. 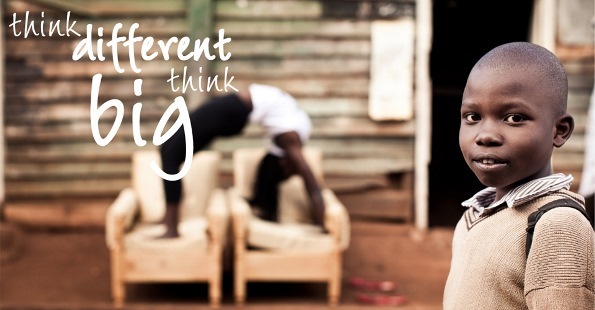 The Africa Yoga Project began with the simple idea that yoga can empower young people to create a brighter for themselves and their communities. Since 2007, the organization has been training young Kenyans to become yoga instructors, providing jobs that benefit these individuals and their communities. The changes inspired by this program are profound: the Africa Yoga Project’s instructors now teach over 300 classes per week, bringing all the physical and spiritual benefits of yoga to more than 5,000 Kenyans, and this number will only continue to grow! Members of the LGBTQ community often experience extraordinary stresses simply because of who they are. This community—which is more likely to face harassment, discrimination, and suicide—is especially vulnerable to stress-related physical and emotional illnesses, which can have profound health consequences for people with HIV/AIDS. With this in mind, Harlem yoga instructor Lara Lamb set out to serve this group with her nonprofit organization, Three and a Half Acres Yoga. Their classes “empower communities by bringing the physical and philosophical facets of the Ashtanga yoga tradition to nurture, heal, and activate residents”—a goal that will create lasting change for all involved. If there’s one population that can benefit most from a positive yoga practice, it may be the men incarcerated in America’s prison system. With the constant stress and violence of prison life, it’s difficult for these individuals to make positive changes that will keep them out of prison and help them lead fulfilling lives. 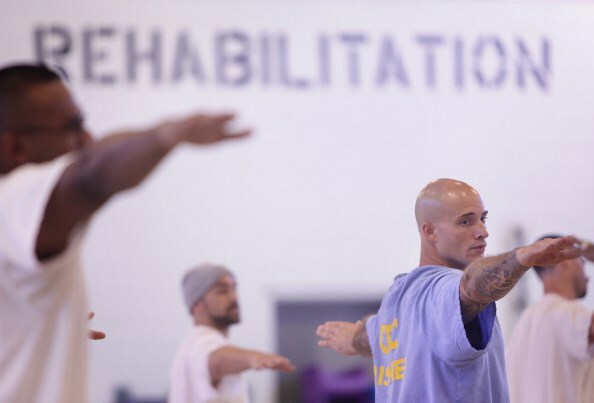 Zach Pasillas, founder of the Yoga Seed Collective in Sacramento, California, recognized this opportunity to rehabilitate violent offenders through yoga. During the year that he’s spent teaching yoga to inmates, he’s seen some radical reformations. But you don’t have to take Pasillas’ word that these transformations are real and powerful. One inmate, Kevin Lewis, said it best: “If you can relax through the painful positions, you can relax through painful situations in life.” These coping skills may just be the key to keeping prisoners from becoming repeat offenders—a change that would benefit these individuals and their communities. Sexual abuse can be one of the most difficult traumas to heal, in part because it damages the mind-body connection. This trauma often leaves survivors feeling estranged from and ashamed of their own bodies, creating a major barrier to long-term wellness. That’s why The Breathe Network was founded by survivor Molly Boeder Harris to connect survivors with yoga instructors trained to promote a sense of wholeness after trauma. Focusing on sensations in the body during yoga can help survivors overcome feelings of shame and alienation from their bodies, while meditation techniques provide also powerful tools to combat Post Traumatic Stress Disorder. In addition to connecting survivors with specialized healers, The Breath Network also provides in-person and online training for instructors, extending their reach all throughout the U.S. and beyond. Each new teacher becomes an epicenter of positive change by providing the tools survivors need to heal the mind, body, and soul. By now, you’ve likely seen the studies that prove what yogis already suspected: yoga helps children cope with stress and do better in school. Although yoga programs in schools have become mainstream, inner-city students from disadvantaged neighborhoods are often left behind—even though they may benefit most of all from the stress-relief and increased focus promoted by yoga. 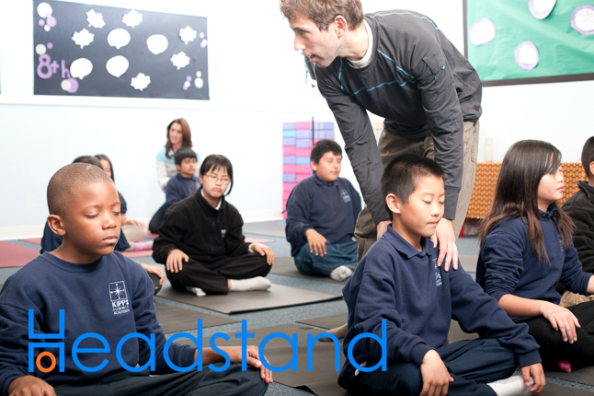 Headstand helps keep kids in school, while also teaching stress-reduction techniques that will empower these kids throughout their lives. Yoga has the power to radically transform the lives of those who practice it, but these changes don’t stop at the individual level. Instead, the positive changes inspired by yoga radiate outward, just like that pebble rippling the surface of a pond. How has yoga made YOUR world a better place?